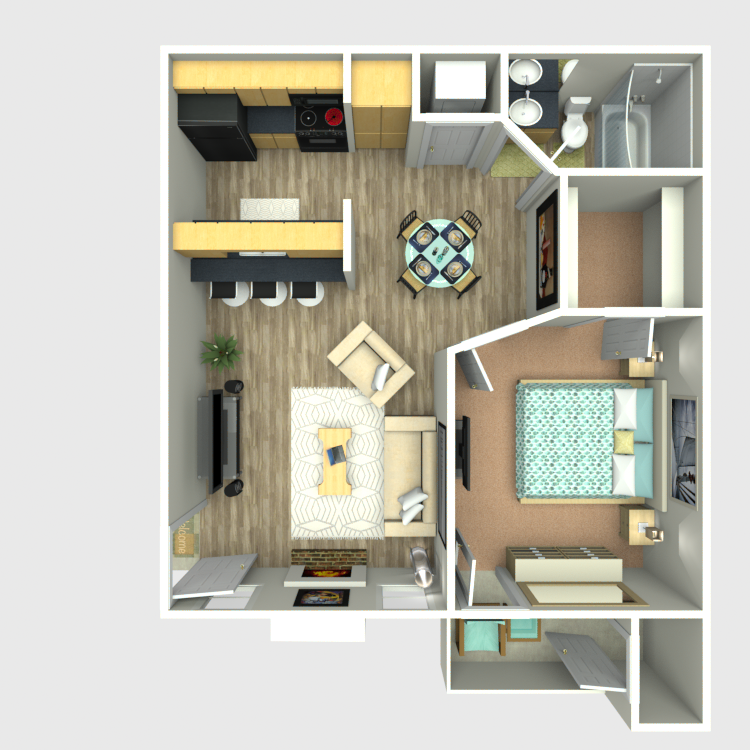 Sedona Ridge has over 10 unique spacious floor plans among our studio, one bedroom, and two-bedroom apartment homes. 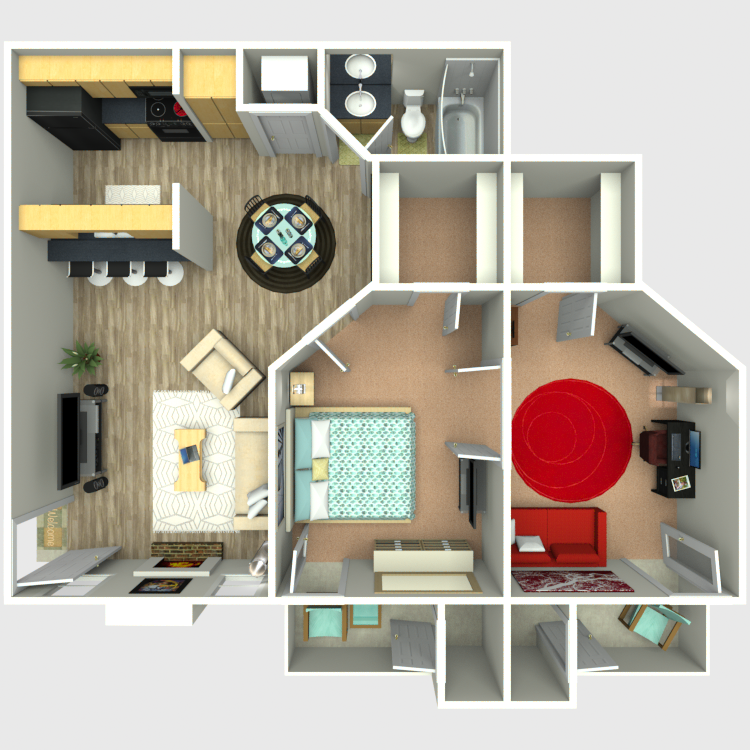 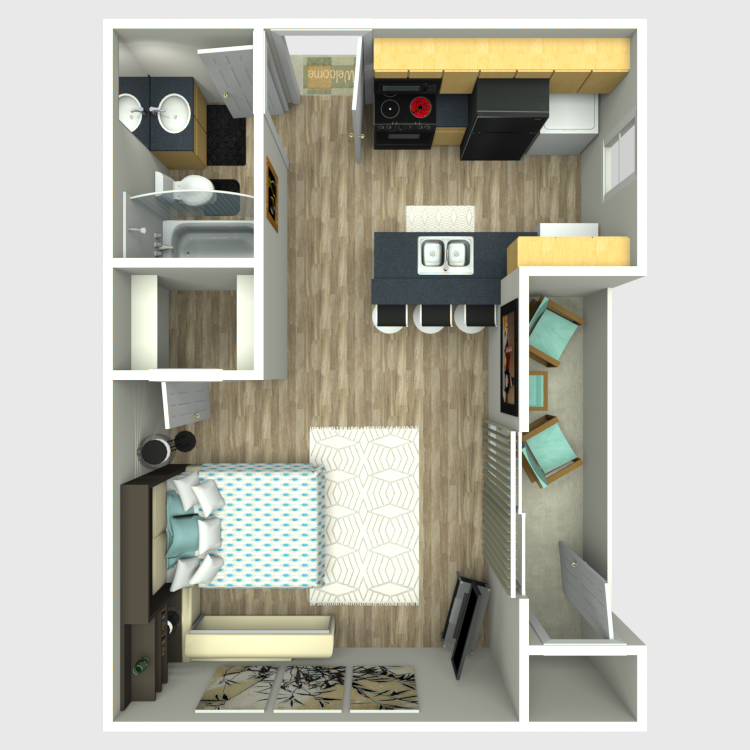 Our apartment homes range from 351 square feet to 850 square feet. 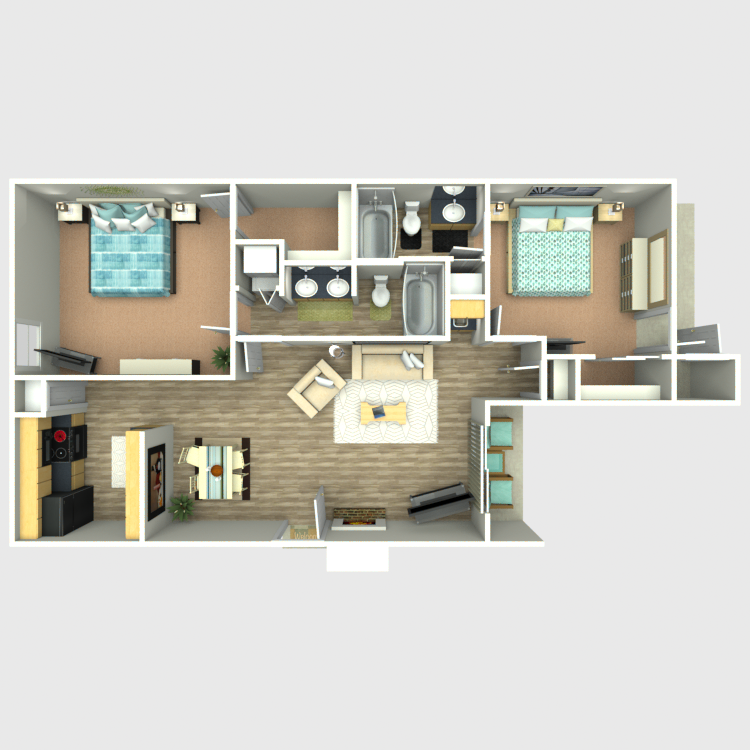 Each floor plan features a fully-equipped kitchen with electric appliances, as well as a built-in pantry for extra food storage. 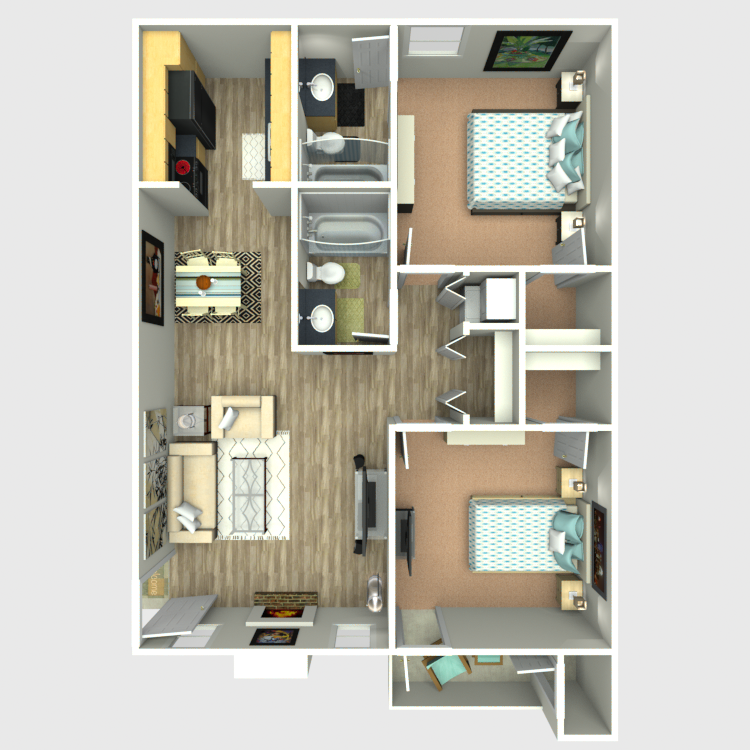 Your apartment home will have both tile flooring and carpet, central air conditioning and heating, and ceiling fans. 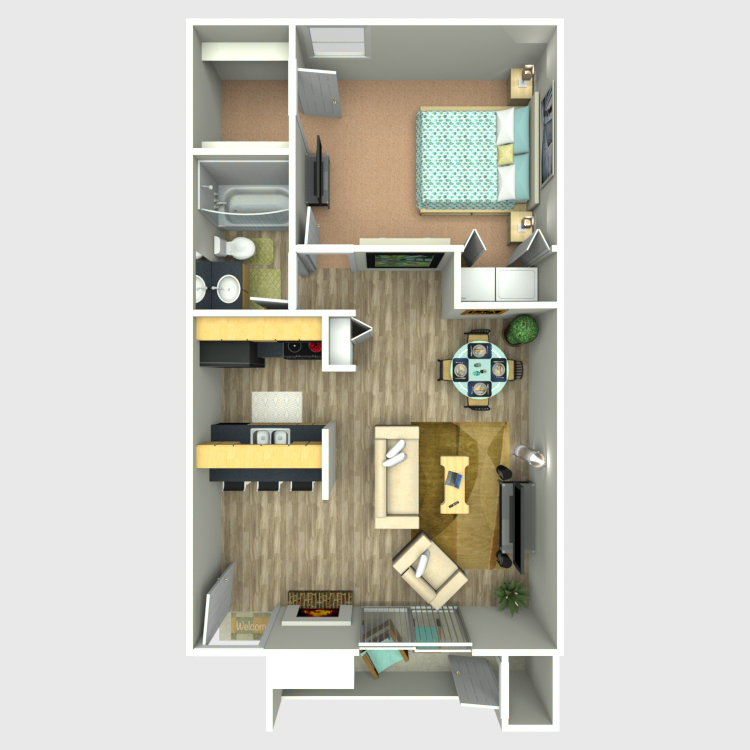 During the winter, residents can take advantage of having their own wood burning fireplace included in our floor plans. 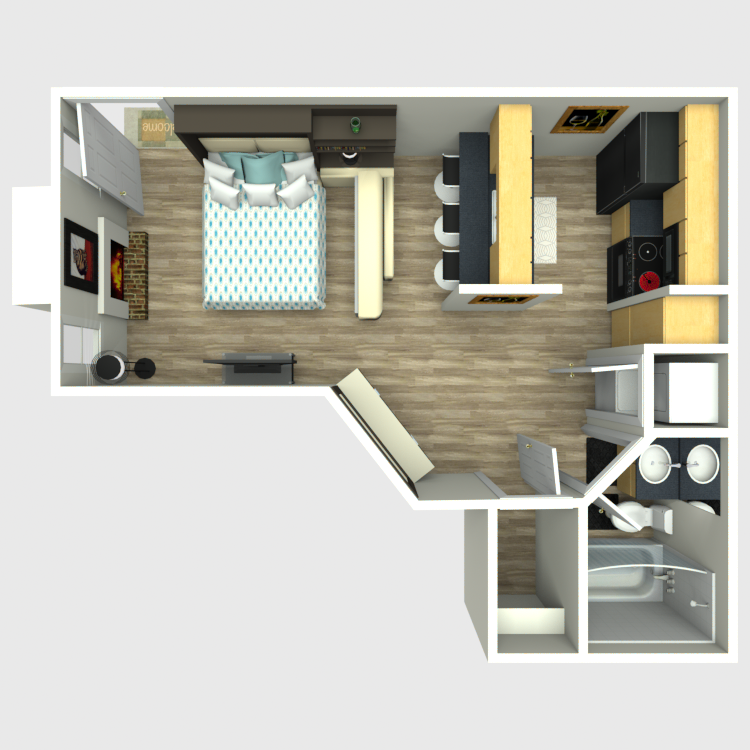 Sedona Ridge provides residents with washer and dryer connections in their apartment, which allows them to bring along their washer and dryer if they prefer to have one inside of their apartment. 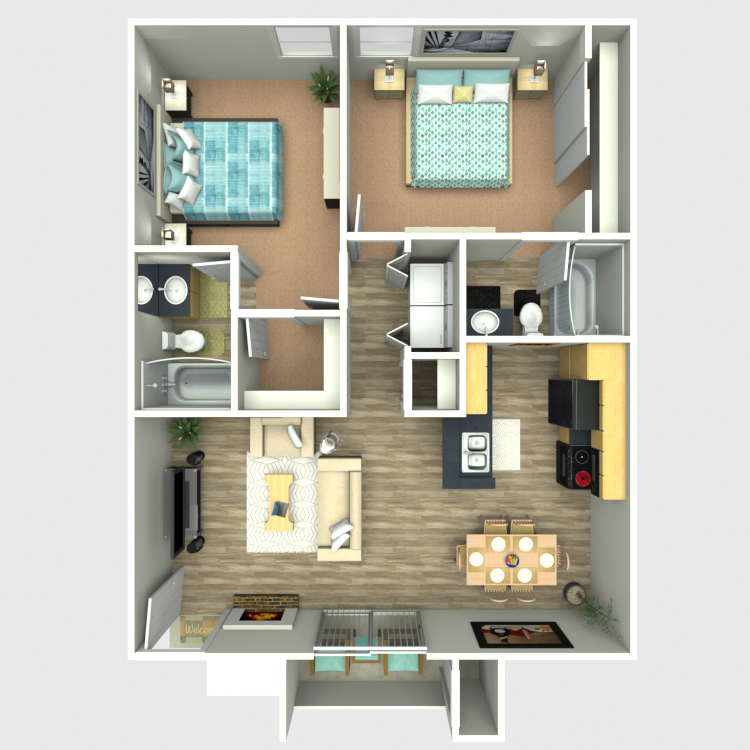 Select apartments have either a personal patio or balcony. 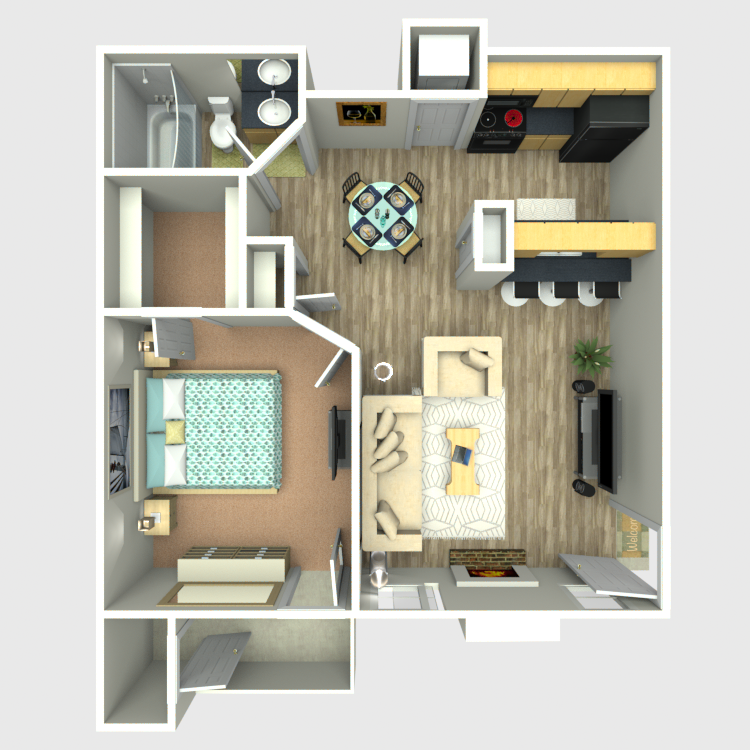 If you want to discover all that we offer, schedule your personalized tour with Sedona Ridge today!